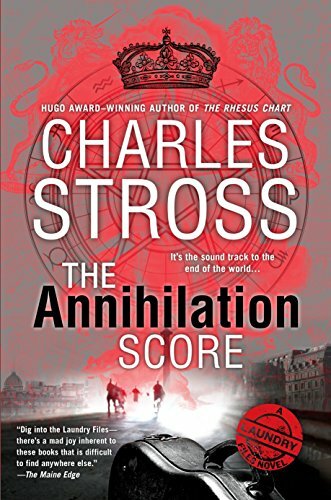 9780425281178 | Ace Books, July 7, 2015, cover price $26.95 | About this edition: Hugo Award-winning author Charles Stross presents the next case in The Laundry Files, “a weirdly alluring blend of super-spy thriller, deadpan comic fantasy, and Lovecraftian horror” (Kirkus Reviews). 9781937007461 | Ace Books, July 3, 2012, cover price $25.95 | About this edition: Bob Howard may be humanity’s last hope. 9780425256435 | Reissue edition (Ace Books, June 25, 2013), cover price $7.99 | About this edition: For outstanding heroism in the field (despite himself), computational demonologist Bob Howard is on the fast track for promotion to management within the Laundry, the supersecret British government agency tasked with defending the realm from occult threats. 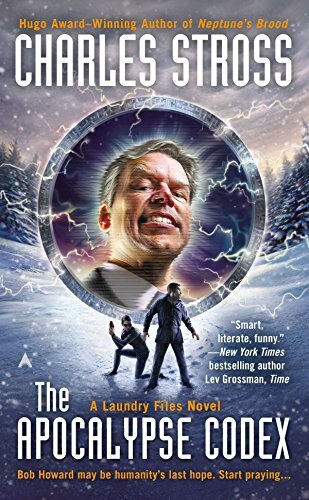 9780441018673 | 1 edition (Ace Books, July 6, 2010), cover price $24.95 | About this edition: View our feature on Charles Stross' The Fuller Memorandum. 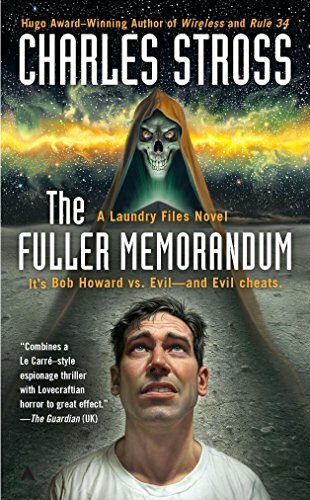 9780441020508 | Reprint edition (Ace Books, June 28, 2011), cover price $7.99 | About this edition: Computational demonologist Bob Howard is taking a much-needed break from the field to catch up on his filing in the Laundry archives when a top secret dossier known as the Fuller Memorandum vanishes—along with his boss, who the agency’s executives believe stole the file.